If we are going to take advantage of the assumption that all people want peace, then the problem is for people to get together and to leap governments – if necessary to evade governments – to work out not one method but thousands of methods by which people can gradually learn a little bit more of each other. Commonly called the Lacy-Zaroubin Agreement after its two chief negotiators, the “Agreement Between the United States of America and the Union of Soviet Socialist Republics on Exchanges in the Cultural, Technical, and Educational Fields” encompassed a wide variety of exchanges in agriculture, science, technology, medicine, radio, television, film, exhibitions, publications, government, youth athletics, scholarly research, and tourism. The initial agreement covered only 1958-1959, but it was periodically renegotiated throughout the rest of the Cold War. As evidenced by the number of librarians, and professionals from other fields, who visited the U.S.S.R. in 1957, informal exchanges had been taking place before the Lacy-Zaroubin Agreement was in place, but both nations wanted a written agreement to ensure equal reciprocity (Richmond 2003, 17). Each side had their own reasons for wanting these exchanges. Both sides publicly stated that the cultural exchanges were intended to promote understanding between the two countries and their peoples (Reston 1958, 9). It has been discovered, through recently de-classified CIA documents (Coriden, 1958; McGrath, 1963), that another aim shared by both nations was the desire for covert intelligence via KGB and CIA operatives infiltrating exchange groups (Coriden 1958, 63; McGrath 1963, 28). Otherwise, each nation had their own specific reasons for promoting the cultural exchanges. On the U.S. side, the government wished to deepen relations with the Soviet Union by expanding contact between people and institutions, to improve American understanding of the U.S.S.R., and to obtain the benefits of long-range sharing and cooperation in science, technology, education, and culture (Richmond 2003, 17). Among private citizens, many had their own personal motivations – professional, financial, scholarly, etc. – for participating in the exchanges (Coriden 1958, 63). On the other side, though never openly stated, there was every indication that the Soviets greatly desired access to U.S. science and technology – having been previously cut off from the developments of the rest of the world. 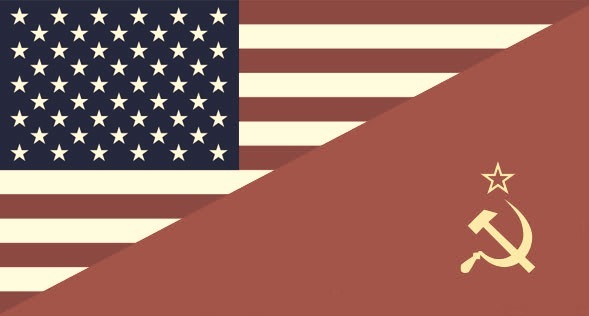 They also desired to demonstrate that the U.S.S.R. was the equal of any capitalist nation – now that the Soviet Union had recovered from their abject poverty following WWII – as well as to improve their image in the eyes of the American public and the world (Schwartz 1958, E5; McGrath 1963, 27). Additionally, they hoped to demonstrate the Soviet Union’s desire for peaceful cooperation with the United State; and to earn foreign currency through the performances of Soviet performers and athletes (Richmond 2003, 18). A video of the opening of the American Exhibition in 1959, which was shown to the American public. Click the link to view the video. Section VIII (1) of the Lacy-Zaroubin Agreement provided for the exchange of exhibits in each country. The American Exhibition took place in Moscow’s Sokolniki Park while the Soviet exhibit was placed in the Coliseum in New York City. The exhibition was intended to give visitors a glimpse of the United States, its citizens, and how they lived. It also provided the rare opportunity for average Soviet citizens to speak with American guides who were fluent in Russian and to ask them questions about the United States (Richmond 2003, 133). Among the many consumerist exhibits in Moscow, the exhibition included displays of book collections (Ruggles and Swank 1962, 1). The two exhibitions were the first in a series of exchanges over the next three decades. The cultural exchange received a lot of international attention due to the widely publicized exchange between Vice-President Richard Nixon and Premier Nikita Khrushchev, while touring a model American home at the American Exhibition in Moscow. This video provides an interesting glimpse of U.S.-Soviet relations through the interaction of Premier Khrushchev and Vice-President Nixon (and translators). Click on the image to view the video. The impromptu argument between Khrushchev and d Nixon that began while looking at a model kitchen display at the American Exhibition in Moscow became known forevermore as the “Kitchen Debate.” This event is perhaps the most well-known event of the entire 33 years of Soviet-U.S. cultural exchanges. In the video recording the end of the debate, it is evident that though the two politicians are trying to appear cordial, there is still a feeling of tension between them as they discuss their thoughts on the U.S. exhibits. Khrushchev goes on to explain the primary motivations behind the American Exhibition in Moscow and cultural exchange.